The new addition, known as Hallagan Woodlot, is a land-locked, forested parcel nestled between Otter Creek Wildlife Management Area (WMA) and the Green Mountain National Forest. The Vermont Land Trust bought the land at auction and transferred it to Fish & Wildlife when federal Pittman-Robertson funds (raised through an excise tax on shooting and sporting equipment) became available. 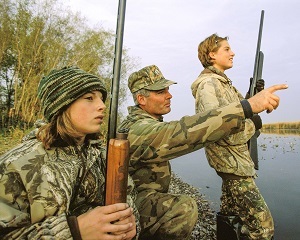 On September 29 and 30, hunters 17 years of age or younger may hunt ducks and geese in the Lake Champlain and Interior Vermont waterfowl hunting zones. The age requirement is 15 and under in the Connecticut River zone according to the following conditions. MONTPELIER, Vt. -- Vermont’s annual auction of five moose hunting permits was held today when sealed bids were opened and the permit winners were notified. The bids totaled $43,702.83 which will help fund Fish & Wildlife Department educational programs, such as the Green Mountain Conservation Camps for youths. Auction winners will hunt in Wildlife Management Units E1 or E2 in the northeast corner of the state during the October 1-7 archery season, or in the October 20-25 regular season. Permits are for bulls-only. 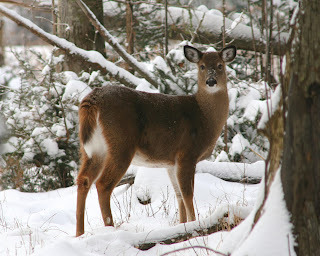 MONTPELIER, Vt. – The deadline to apply for an antlerless deer permit to be used during Vermont’s December 1-9 muzzleloader deer season is Thursday, August 29. Antlerless deer hunting permit applications are on Vermont Fish & Wildlife’s website (www.vtfishandwildlife.com), and printed applications are available from license agents statewide. Hunters applying online for an antlerless permit will do so through the online license sales system as if they were purchasing a license or a tag using their conservation ID number, or CID#. Landowners who do not have a Conservation ID number will need to create a profile through the online license sales system to apply for a landowner application even if they do not intend to purchase a hunting license. The December 1-9 muzzleloader season has 27,000 antlerless permits distributed in 18 of Vermont’s 21 WMUs, which is estimated to result in 3,914 antlerless deer being taken. 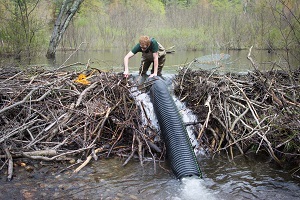 MONTPELIER, Vt. – To prevent flooding on nearby roads, the Vermont Fish & Wildlife Department recently completed construction of 19 water control devices on beaver dams in locations throughout Vermont. Known as ‘beaver baffles’ these devices allow some water to pass through the dam without breaching the dam and destroying the wetland. 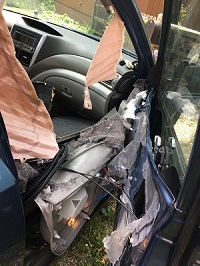 The Fish & Wildlife Department expects to continue to install additional beaver baffles throughout the state this year. The baffles are one of many techniques that department staff employ or recommend to landowners to minimize beaver damage to property or trees. Other techniques include using fences to protect culverts, or placing wire mesh or special paint around the base of trees to prevent gnawing. 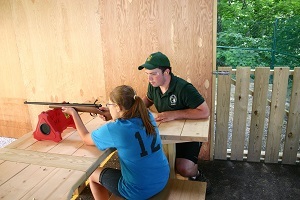 Instructor Training Course Offered for Hunter, Bow Hunter, Trapper Ed. 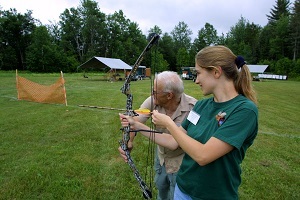 WHITINGHAM Vt. -- The Vermont Fish & Wildlife Department is offering a New Instructor Training Course for people interested in volunteering to teach Hunter Education, Trapper Education or Bowhunter Education courses in Vermont. The training will take place Saturday, September 15, at 8:00 a.m. at the Deerfield Valley Fish & Game Club in Whitingham, Vermont. MONTPELIER, Vt. – The Vermont Fish & Wildlife Department will be hosting seven free hunting seminars that will be helpful for hunters who have some experience as well as for beginners. 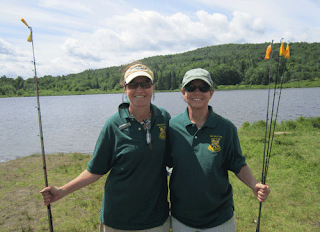 The seminars will be taught by Vermont Fish & Wildlife staff and hunter education volunteers. “Both experienced and first-time hunters stand to benefit from these seminars,” said John Pellegrini, Hunter Education Training Coordinator with Vermont Fish & Wildlife. “We will provide useful information including practical hunting tips, ecology and behavior of these animals, and how to have a fun, safe experience in the woods.” Participants are urged to bring a lunch for the day-long seminars and dress for the weather, as these seminars have an outdoor portion to them and will be held rain or shine. MONTPELIER, Vt. -- The five winners of Vermont 2018 moose hunting permits for resident military veterans were determined in a randomized computer lottery drawing August 1 at the Fish & Wildlife office in Montpelier. The five permit winners were among 100 military veteran applicants who applied at no cost by a July 6 deadline. The winners’ names are posted on Vermont Fish & Wildlife’s website (www.vtfishandwildlife.com).